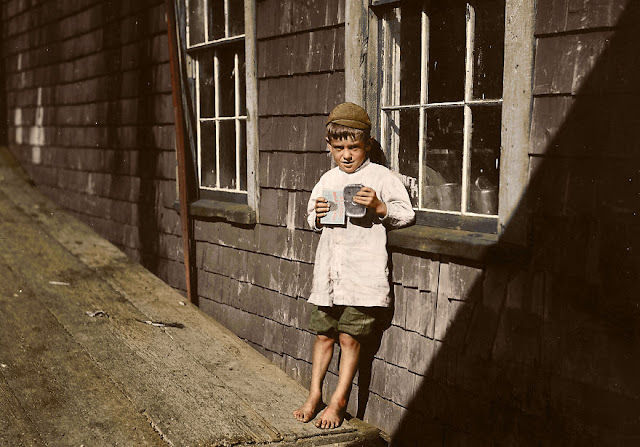 Photographer Lewis Hine documented at the beginning of the 20th Century and during more than ten years, the tough daily life of children working in American factories and mines. 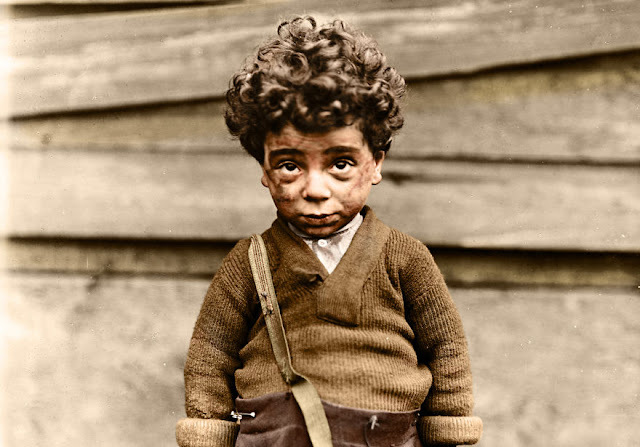 Some of his pictures were Colorized by Tom Marshall at PhotograFix. One of the underprivileged, Hull House, Chicago, 1910. 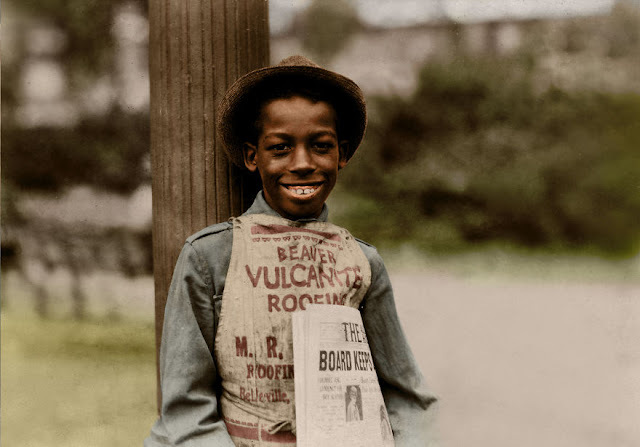 Roland, an 11 year old newsboy from Newark, New Jersey. 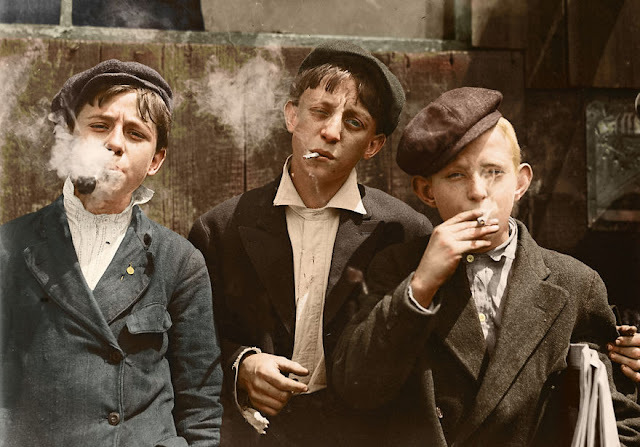 Raymond Klose (middle), newsboy, 13 years old, St. Louis, Missouri US, 1910. 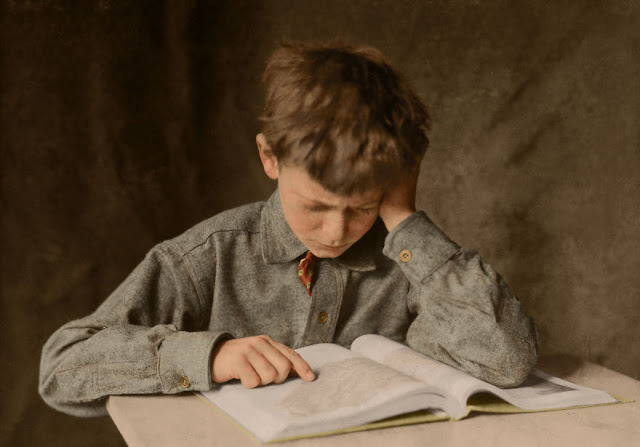 5 year old Preston, a young cartooner in Eastport, Maine, 17th August 1911.